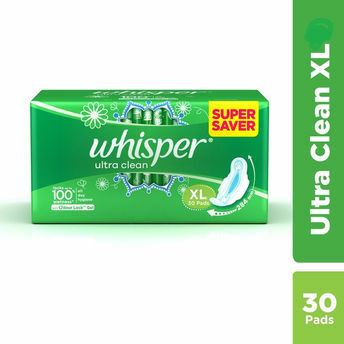 Whisper Ultra Clean Sanitary Pads provide superior long lasting protection. Its Dry-Weave Cover provides soft, dry protection and the Super Absorbent Core pulls fluid deep into the core and away from the edges. The large wings are longer than regular wings, helping to provide more coverage on heavy days.